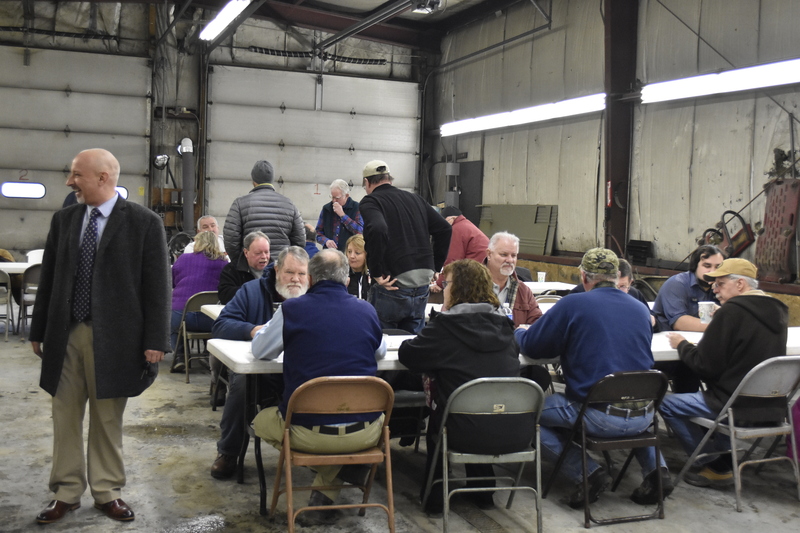 The RSU 18 Transportation Department hosted its Annual Christmas Breakfast Celebration on Wednesday, December 19th. Among the more than 75 in attendance were our drivers, the Town Manager, Oakland Town Council, members of the Oakland Police Department, town crew and our awesome tech and maintenance departments. Mr. Gartley, Mr. Morin, and Mr. Smith paid us a visit as well. Art Jones, who drives the handicap bus, and his partner Kathy Paradis did the prepping and cooking of more than 9 pounds of bacon, 15 pounds of sausage, over 90 eggs, countless pancakes, home fries, and other delicious breakfast foods. This tradition has been in place for over 30 years and began when Lennie Goff took over as Transportation Director. Next Congratulations to our Director of School Nutrition and Staff!